jNET is a group of peer network fellows guided by the University of Michigan Hillel’s strategic goal to develop relationships with Jewish students in order to engage them in meaningful Jewish life. jNET is a cohort of network weavers, representing different micro-communities on campus, led by a Hillel staff supervisor. Participation in jNET is an investment in each network weaver’s professional development. jNET fellows participate in ongoing development in social networking theory, relationship-building, Jewish sociology and identity, and community organizing. Through one-on-one relationships, jNET fellows foster Jewish community outside of the current Hillel infrastructure. To learn more about the jNET Fellowship, click here and contact Jamie Skog with any questions. Hillel Phonathon is the most successful fundraising initiative of Michigan Hillel – as well as the most successful Phonathon of any Hillel across the country. Fully student-driven, our Phonathon provides exceptional job opportunities for students to gain professional, leadership and presentation skills. As a Student Caller, you play an integral role in helping Michigan Hillel to achieve its mission. 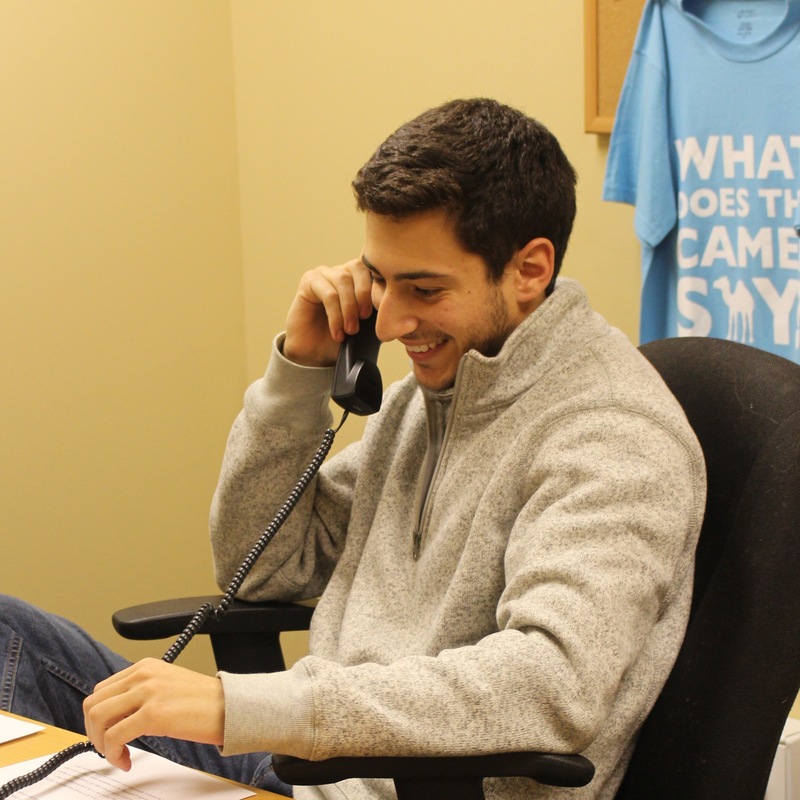 Weeknights and Sundays nearly four times a year, Student Callers reach out to alumni, parents and general supporters of our organization to raise money over the phone for our incredible programs such as our Shabbat dinners, Jewish Penicillin Hotline, Israel events and so much more. If you are interested in fundraising for the future of Jewish life at Michigan, please contact our Phonathon Director, Nicole Caine at [email protected], to schedule a phone interview. Michigan Hillel’s Advancement team typically has one development internship opportunity per semester. Development Interns will gain hands-on experience in a professional not for profit development department, assisting staff with managing fundraising campaigns, direct mail appeals, email solicitations, grant research and proposal writing, and database management. This is a paid position that averages 10 hours, in-office per week. Work study eligibility is preferred, but not required. Please send your resume and cover letter to Stacy Carroll, Director of Advancement, at [email protected]. The Jeanette and Oscar Cooke Jewish Occupational Intern (JOIN) Program is an eight-week student internship in a Jewish communal service agency supported by JVS Detroit. Each week, four days are spent working at an agency. In addition, interns attend a weekly seven-hour seminar to learn about the history and structure of the Jewish communal service agencies. Interns receive a financial stipend. Past internships have included: Michigan Hillel, Fresh Air Society, Holocaust Memorial Center, JARC, Jewish Community Center, Jewish Family Service, JVS, Jewish Senior Life, Temple Israel, and Yad Ezra. For more info call 248-233-4233. Congregation Beth Elohim, a dynamic Reform Congregation of 1,000 families in Park Slope, Brooklyn, seeks to hire full-time educators for its Kindergarten through 12th grade Jewish education program, Yachad. Yachad Educators work closely with the Director of Yachad and on a team of full time and part time educators. Our educators work to create engaging, exciting and high level formal and informal learning opportunities for students and their families in Grade K-12. To build an innovative program we are looking for teachers with a diverse skill set; Judaic studies, Hebrew Language, music, song leading, t’filah leading, STEM, dance, theater and visual arts. – Work with Educators and Clergy to make sure that programming is consistent and meaningful. – Planning and logistics for grade level in-house and out of house trips; including the Yachad Retreat. – Ongoing communication with parents and overall CBE community; email, phone, in-person, social media, etc.